The Club-27 Jimi open baffle speakers offer best sound quality, efficiency and dynamics of the Club-27 line of speakers. Throughout the review period, we were more than thrilled with the capacities and capabilities of this Dutch/German collaboration called Club-27. For the asking price, the astute music lover gets an incredible instrument that's able to create an aural image which is strikingly realistic. Thus far we have experienced only a few loudspeaker systems which offer equivalent performance to the Club-27 Jimi. Those few loudspeaker systems are at least six times more expensive ... and yes, that includes our own Avantgarde Duo Omega horns. Enough said! How they sound I will try to describe them, what they do with me is in a word to catch: emotion! My Usher's were musical, fast and dynamic but they turned pale with what the Jimi's perform. Jimi Hendrix played his guitar like no other and his sound is unmatched until today. He was a non- conformist and he did not accept some of the given rules, this open mind enabled him to find a famous new style in music. His songs like „Hey Joe“ or „Wild Thing“ will always be recognized if you heard them once. He passed away too young but his music will live forever. The Club-27 Jimi speakers match Jimi Hendrix unique avantgarde approach and they show a new path in speaker- design in the tradition of the legendary Bastanis open baffle speakers. The sound quality of the Club-27 Jimi speakers is unmatched and will satisfy the owners for lifetime, the original is best! The central units of the Club-27 Jimi speakers are the 12“ wideband drivers which cover the frequency- band from below 100Hz up to about 7Khz. The unique in- house treatments let the wideband drivers behave well and non- resonant by themselves from the bottom to the top. No series crossover- parts are required and the signal- path is most direct and not downgraded by any crossover- parts. This also allows the power- amp the best possible control over the drivers. The easy load, the high efficiency and the high impedance of the open baffles make the Club-27 Jimi speakers ideal partners for any kind of amps and even fly- powered SE tubed amps will live up powering the Club-27 Jimi open baffle speakers. The open baffle design is free from cabinet- resonances and together with the dipole speakers- character the amount of finest details and the quality of imaging is orientated in the live sound- experience only and not affected by the usual limitations. The 1“ horn- tweeters are crossovered with a single cap and they are perfect partners for the 12“ wideband drivers offering extreme detail and uncompressed dynamics. The Club-27 Jimi speakers offer stable imaging with full detail down to lowest listening- levels, best transient response and uncompressed stress- free listening even at live music listening- levels. The active powered 15“ woofers of the Club-27 Jimi speakers offer powerful and deep bass- response with lots of punch. The big magnet high power 15“ bass- drivers offer the right performance to be the perfect partners for the open baffles and they offer seamless integration because the Jimi speakers are designed as a system from the beginning. The woofers can be placed behind the open baffles or stand alone. This and the easy settings to the belongings of nearly all rooms give the Jimi speakers better versatility than any passive powered speakers. 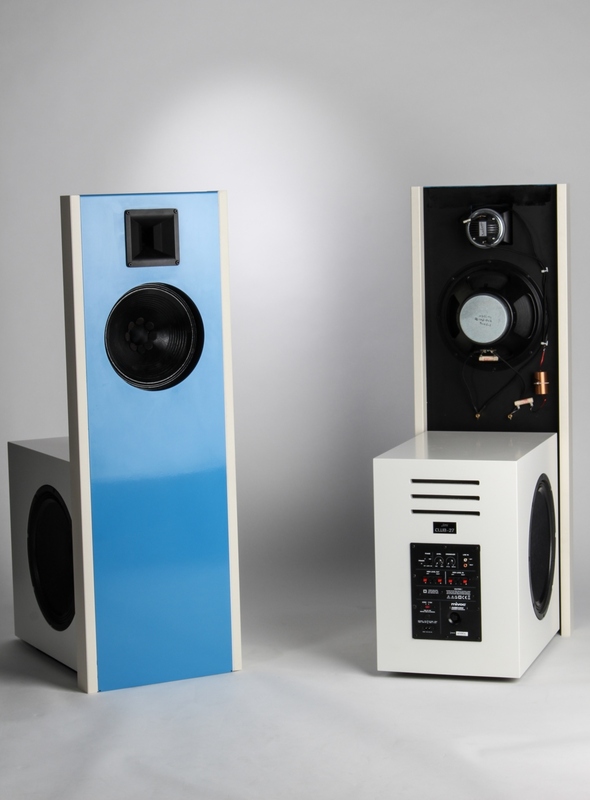 The two 15“ woofers are mounted into sealed cabinets and each woofer has it`s own woofer- amp. The performance and authority of the Club-27 Jimi speakers bass response belongs to the best and will even satisfy listeners who are used to other big and very expensive speakers. After years of not going to hifi shows to have been, I was in the autumn of 2017 curious about the performance level of my own set. That turned out to be very decent because much of what I heard on X Fi 2017 could not charm me much. Often it was missing in my ears to dynamics, realism and musicality in the, often very expensive, installations. Until I came to the room of the brands Bastanis/Club-27. There too was an impressive installation but here the sound grabbed me immediately by the incredible realism and live feeling. When I heard that Club-27, derived from Bastanis, developed products with the same kind of live-like music experience but for a more affordable price, my interest was aroused. When the Dutch distributor, Live-fidelity, then offered to listen to the Club-27 Jimi's at home for a week, I was sold after that week and I only wanted one thing: my own set of Club-27 Jimi Special Edition's. A year later, it is now November 2018, I had sold my old speakers (Usher mini Dancer 1 DMD) and my own Jimi's in the living room. How they sound I will try to describe them, what they do with me is in a word to catch: emotion! My Usher's were musical, fast and dynamic but they turned pale with what the Jimi's perform. Due to the lack of a cabinet in the middle area, which is very important for music, the Jimi's are very capable of displaying micro details, space and transitions (the "turning on" of instruments) and this creates a hyper realistic 3D image of instruments and voices. Give them some space to breathe (in my case about 80cm from the back and side walls) and put them straight forward and the speakers disappear! What remains is a broadloom and room-high sound image that stretches far beyond the boundaries of your room when you close your eyes. Wood sounds like real wood, metal sounds like real metal, without any kind of sharpness. At high volume, snaredrums and toms make your ears feel very bad at the touch. A piano turns out to be a real percussion instrument and air flows through wind instruments. Another great thing is the lack of compression. I like to listen to solid Neo-prog and even at high volume the Jimi's remain dynamic, transparent and musical despite the often very complex and layered music. The layer is very tight and fast. Great work of the large 15" units in the active subwoofers! In terms of speed and dynamics, these fit seamlessly into the middle range. Delicious how you hear the bass pedal rolling and the bass runs flawlessly can follow without any kind of wooliness. The high is provided by a horn unit of the brand Bastanis. This produces a limitless high with a silky soft, very spacious and fast character. Despite the great speed, there is no trace of sharpness, so it sounds high, just like the rest of the sound, not tired and very realistic. Is there nothing wrong then? 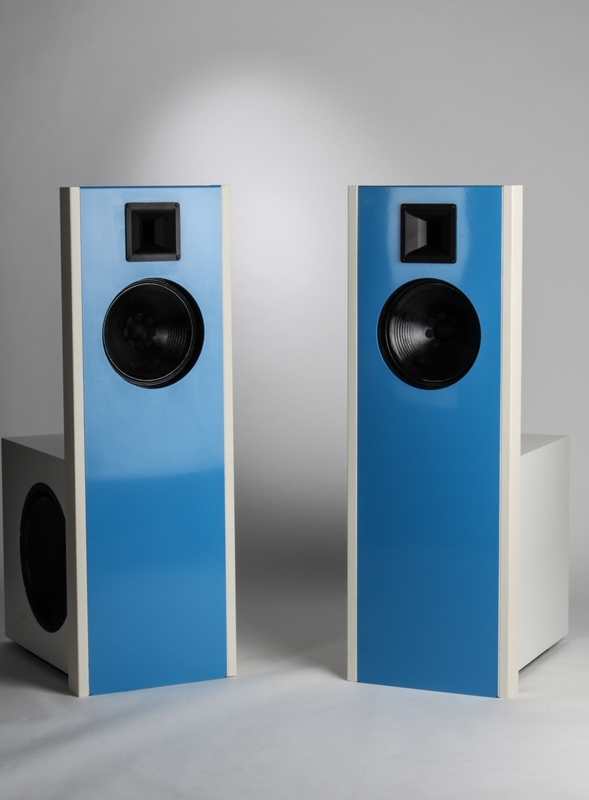 Yes, there must be a very big warning on these speakers: Beware, seriously addictive! Please contact us first for shipment details. Our assembled speakers can also be custom made to your wishes. Our speakers are available as DIY-kit as well as assembled.